Milk is a popular source of nutrition and many people know that drinking milk brings the benefits of health and strong bones. 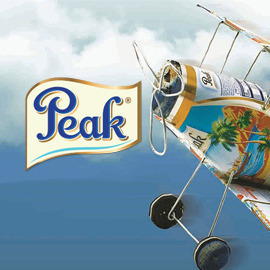 Avoiding these milk category clichés of talking about ingredients and the product’s functional benefits, how would you bring to life Peak’s tagline “Reach for Your Peak” in a way that will help them know that Peak will give them and their families stronger bodies and sharper minds, helping them achieve their best performance no matter what they do. How can you get Nigerian mothers to associate the benefits of Peak milk with helping her and her family achieve their individual personal ‘peak’ in an emotionally engaging way? Format: A poster with tagline "Reach for Your Peak" and answers to the mandatory questions (maximum 2 pages PDF). Looking forward to seeing your creative entries!